Demian Maia suffered a tough loss tonight at UFC on FOX 2, dropping a unanimous decision to up-and-coming prospect Chris Weidman. 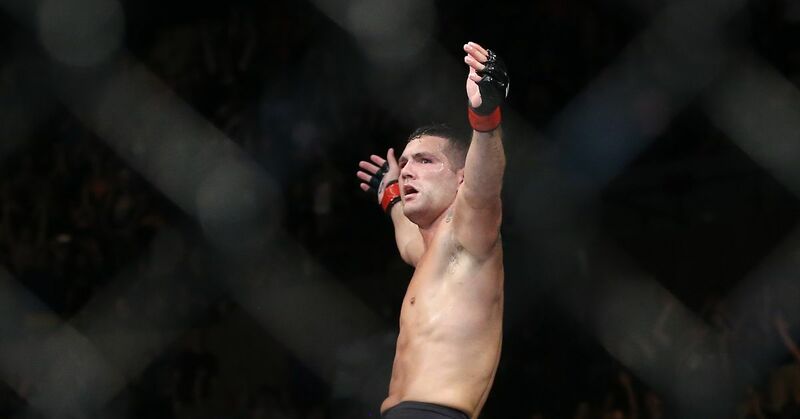 It was a relatively unimpressive showing from both fighters, who were noticeable gassed by the end of the first round, but Weidman managed to sway the judges' decision using his takedowns. Weidman's lackluster performance was understandable, as he took the fight on just 17 days notice, but Maia's performance was particularly disappointing, given that he had a whole camp to prepare for this fight. The fight was originally announced as a split-decision win for Weidman, but it was later discovered that one of the scores had been added wrong and that all three judges had in fact given Weidman the decision. Maia is now 4-4 in his last eight fights with the UFC and seems to have lost the spark that he had when he first entered the UFC. Maia came into the UFC as a jiu-jitsu specialist, winning his first five fights by submission. However, Maia eventually ran into a fighter who he couldn't take down, Nate Marquardt. Marquardt knocked Maia out seconds into the first round, in what was one of the most devastating one-punch knockouts in the UFC history. Since that loss Maia has worked diligently on improving his striking and focused much less on his jiu-jitsu. While his striking has improved by leaps and bounds, he has strayed from the technique that gave him success in the first place. It's great that Maia has rounded out his game because it's good to be comfortable anywhere a fight goes, but it's time for him to go back to what he is best at. Maia has arguably the best Brazilian jiu-jitsu in the UFC—he should be using that to his advantage whenever possible. Anderson Silva is the best striker in the UFC. He also has great jiu-jitsu. He uses that jiu-jitsu when he needs to, but whenever possible he uses his striking skills. In a nutshell, Maia has not been playing to his strengths and that's no way to win fights.